Making sure your car looks great is one thing but how about if you want it to sound just as good? If you want a deeper and richer sound that a standard set of speakers will deliver, there’s no substitute for a subwoofer. To pick out low frequencies, regular speakers simply don’t cut the ice. 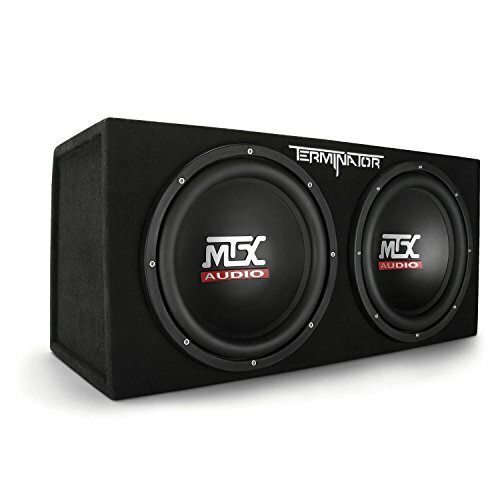 For anyone with a more fluid budget who wants serious bass alongside an impressive power draw, 12” subs make perfect sense. We’ll get straight down to business with some brief reviews of 10 of the best 12” subwoofers on the market. For a deep and powerful audio experience, the MTX Audio Terminator series is an affordable choice that doesn’t compromise on quality. We opted for the dual 12” sub complete with enclosure. You can also roll with an 8” or 10” model if space is limited or ratchet things up and buy the 12” with an amp thrown in. If you’re hunting down a done-for-you subwoofer experience, this pair of MTX Audio drivers in a nifty enclosure hits hard. With 400 watts RMS and maxing out at 1200 watts, you’ll get vibrant bass and ample volume for most needs. The sealed MDF enclosure is carpeted and houses a dual 12” sub with rubber surround and 2” aluminum voice coil. Even if you take your vehicle off-road, this sub will take some heavy punishment. Innovative Spider Plateau Venting cools down all internal components so you this sub will withstand even prolonged use on a cross-country road trip. Combining brand heritage and performance at a price you’ll love, pop the MTX Audio on your shortlist with confidence. With over 40 years in the business, Rockford Fosgate remains a reference point for top-notch car audio gear. If you want a subwoofer solution that’s close to plug-and-play, this neat 12” package comes with an enclosure provided. Getting great car audio equipment without spending a fortune is a tough tightrope to straddle. This combined sub, amp and enclosure from Rockford Fosgate is an obvious choice if you want to get that delicate balancing act right. The 12” sub comes in a vinyl-covered MDF enclosure along with a class D adjustable monoblock amp. The closed loop means that the sub and amp are nicely balanced giving you the ideal combo of crisp sound quality and powerful bass. The exterior is built to take being knocked around in the trunk and there’s thermal and over voltage protection built in. 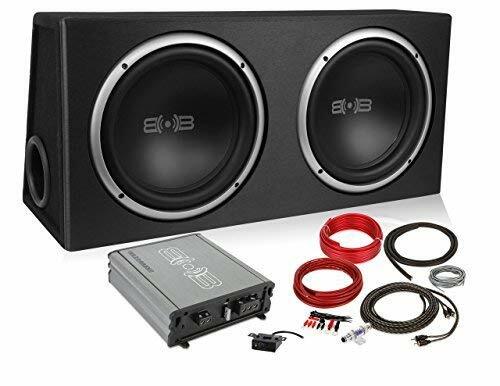 With a remote to make your life even easier when tweaking the output of your subs to the bass level you want, this bundle deserves a place on any list of the best 12” car subwoofers. Belva makes your life super-simple with this complete subwoofer package. You’ll get everything from a pair of 12” subs and amp through to the enclosure and wiring so you can crank up that bass in no time. A great choice for beginners, serious audiophiles will find amp somewhat lacking. Everyone has different needs when it comes to car audio. If you’re angling for a no-nonsense combined unit with everything you need to get going out the box, this Belva package is a smart bet. If, on the other hand, you’re expecting competition audio… Well, you generally get what you pay for. The dual-subs come pre-loaded and have the standard aluminum voice coils, rubber surrounds and polypropylene cones. Bass is vibrant and deep. While the amp is underwhelming, for anyone without much technical expertise looking to enter the subwoofer market on a budget, this Belva set-up should be more than fit for purpose. Kicker produces a healthy range of car audio at a pretty attractive price point. They’re not exactly cheap but they won’t hit you too hard in the pocket either. This potent square driver has an additional cone area to deliver even more volume without spoiling the sound quality. 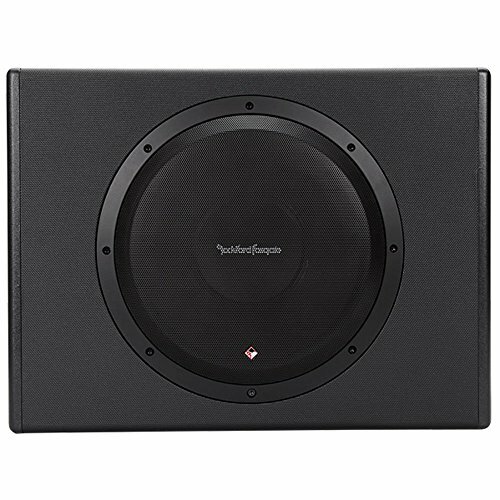 If you have an amp already in place, investing in this 12” subwoofer will serve up an excellent low end even if you push your system to its limits. The power range is from 100 to 750 watts RMS split across the 2 voice coils. This pair of coils gives you plenty of flexibility if you want to rack up a multi-sub set-up. The aluminum basket and SoloKon square cone help this driver push much more air than a similar rounded sub. Build quality is superb and the striking aesthetics, further enhanced if you invest in the optional grille, mean this Kicker sub makes quite a statement while delivering great bass and volume with no distortion. 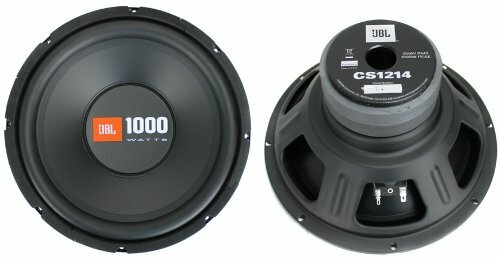 Skar Audio has 10 different sizes and styles of this sub available. We rolled with the 12” dual 2-Ohm configuration but you should check and see which best meshes with your needs. Note that you’ll need to buy both the enclosure and amp separately. 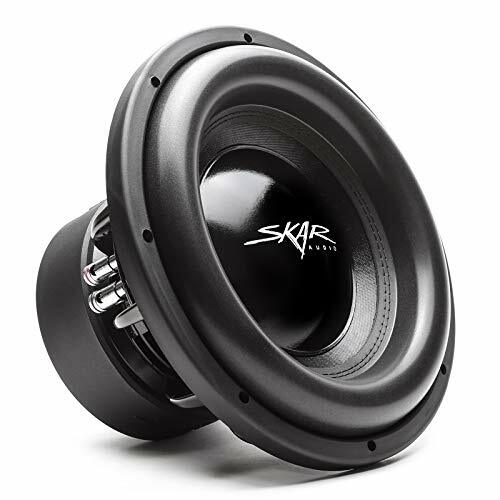 Skar is a household name in the car audio space and this 12” sub is a solid choice if you are simply looking for a driver to incorporate into an existing system. The main strength of this sub is overall clarity and richness of sound rather than sheer volume. With a 30 to 300Hz frequency range, these subs will handle a wide span of low-end sounds with panache. If you prize sound quality over window-shattering decibels, this sub is tailor-made. From patented air flow cooling through to bleeding-edge suspension, Skar cram a great deal of technology into a small package with this superb 12” subwoofer. Road test the Skar today. 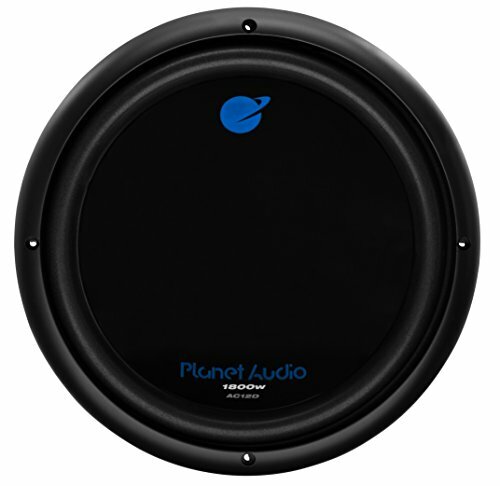 Planet Audio gives you the chance to boost your in-car audio without taking out a bank loan. You need to keep your expectations realistic with subwoofers at this price point but the AC12D is a capable performer delivering a hard, low punch. Planet Audio’s range of Anarchy subwoofers has a devoted following for offering a cost-effective subwoofer solution that doesn’t stiff you in terms of performance. Although the power rating is undoubtedly overstated, you’ll still get adequate power from this dual-coil voice subwoofer. The foam surround allows the cone plenty of movement while still keeping it centered and it’s built to last into the bargain. Take the time to ease this sub into commission gently and it will reward you with many years of service. Fire it up full-bore straight out the blocks and you’ll run into trouble. JBL serves up a pair of superb subs at an almost budget price with the CS1214s. If you enjoy ratcheting up the volume, these subs give out a controlled sound even when pushed to the edge. If you want a big bass sound without a similarly hefty price tag, give some serious thought to these JBLs. 250 watts RMS along with a highly impressive 1000 watts peak power is complemented by a broad frequency range of 35 to 200Hz. This gives you a sub that delivers rambunctious bass with a crispness that will surprise you given the price point. The polypropylene cone is rigid and puts paid to the menacing road noise that can interfere with audio demanding low frequencies. You’ll be able to dial the volume all the way up without worrying too much about distortion making this a great sub for anyone placing a premium on sound quality not just volume. Paired with the right enclosure and amp, these JBLs are ideal for thundering bass in its purest form. 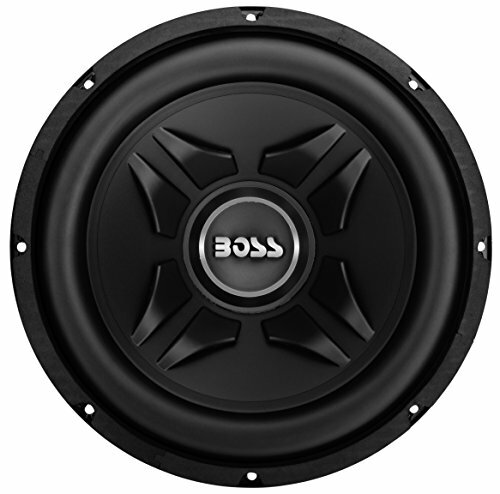 This subwoofer from BOSS Audio is a flawed gem. While some users have moaned about the speaker packing up under heavy fire, legions of positive reviews attest to a very distinct and clear bass with impressive overall performance. As a single voice coil sub, this works best with low to medium level power applications. RMS handling is 500 watts with a peak rating of 1000 watts. Sensitivity is better than you’d expect for a pocket-friendly sub. While this driver won’t steal any prizes at a car audio show, if you simply want to add a rich depth to your regular car stereo, the BOSS Exxtreme Series is well worth looking into. Last but by no means least in these best subwoofer reviews is a poky all-in-one set-up from the highly reputable Rockville. Buy into a brand you can trust without needing to take out a bank loan. This active sub and enclosure unit is perfect if you’re a beginner to the world of car audio looking for a quick but effective fix. If you want a great, solid bass without investing in an expensive and expansive unit, this all-in-one package from Rockville delivers in fine style. You’ll get a 12” sub with 300 watts of RMS power along with an enclosure and amp so there’s no messing around with separate components. This impressive level of output comes in a fairly compact package that sits nicely wedged up against the seats. This makes the Rockville a space-saving sub ideal for smaller vehicles. If you want to avoid the weak bass and poor performance that blights many packaged bundles, you could do far worse than this Rockville 12-incher. Built in the US and backed by 3 decades of audio expertise, this wonderful subwoofer might not be the loudest, but it’s certainly among the best. 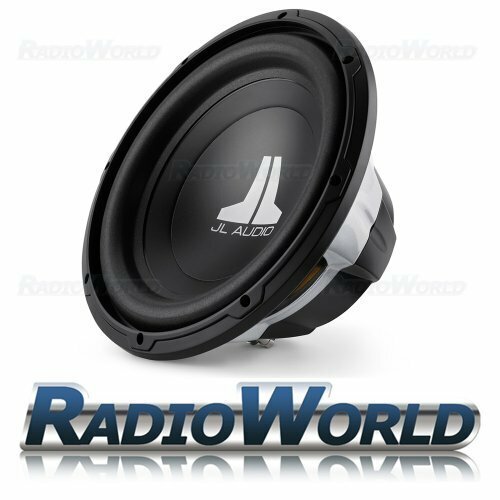 Best used in range of 300 to 600 watts of power, this 12” sub packs 4 ohms. Lightweight but rigid cones deliver bass that’s highly precise with a real depth to it. Bass is clean even at higher volumes. You’ll get a real rush of air with the JL as the bassline thunders. The powdercoated basket and anodized surround gives this sub a lean, mean look. While you can certainly pick up a subwoofer that stomps out more raw sound, the W0V3 Series places the emphasis firmly on clarity and tightness. As far as mainstream subwoofers go, this 12-incher is about as good as it gets. We trust this exploration of 10 of the best 12” subwoofers on the market has given you some inspiration to take your car audio to the next level. We tried to include a broad spread of speakers and configurations at staggered price points so there’s truly something for everyone. 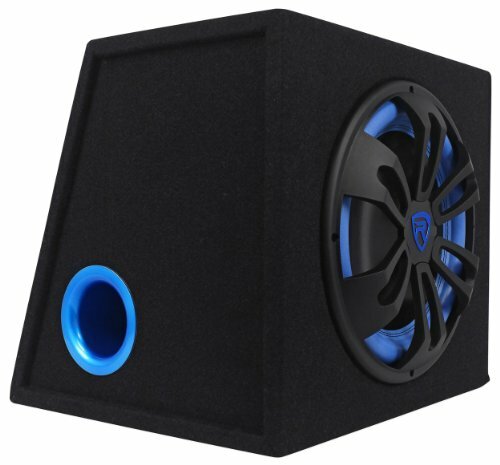 Check out our detailed buying guide if you want to know what you should consider when buying the best subwoofer for your car.